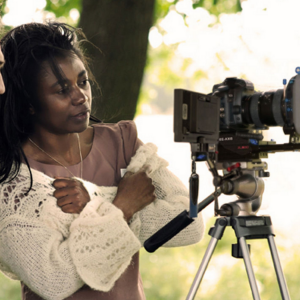 Ice Neal is a British/African, award-winning actress, director, scriptwriter, and producer. She has written, produced and directed three feature films and three short films: EVA’S DIAMOND, a Christian-based drama-mystery-thriller, The Unfathomable Mr. JONES part 1& 2, a Mainstream over-the-top Comedy with Christian morals currently in production, AT LEAST I FOUND YOU, a 30 minutes romantic comedy, FINALITY the 20 minutes poignant psychological drama and I’M SORRY BUT I HAD TO, a 5 minutes kid’s drama. Ice Neal has written more than 20 fully developed screenplays. Her feature screenplay, IN TWO MINDS, got a STRONG CONSIDER from Los Angeles. Among the reviews of her work, “The narrative is very crafty and plays with perception, almost like a David Lynch film.” Jim Cirile, Coverage Ink, LA. Ice Neal has been awarded a “Strong Consider” for her script-writing skills, a rare achievement for an obscure talent. Ice Neal’s feature film Eva’s Diamond won an Award of Merit for her performance in the leading role, won Award of Excellence for Best Feature Film in Accolade Film&TV Awards 2013, and was also Nominated for Best Foreign Film at SDBFF 2013. In 2015, Eva’s Diamond won Best Screenplay (Ice Neal) at the California Film Awards; Nominated for Best Actress for her performance in the leading role, and Best Editing at Maverick Movie Awards. 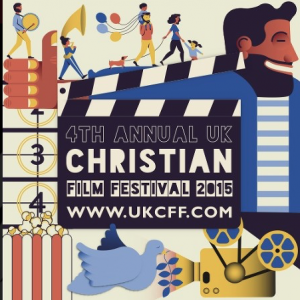 Eva’s Diamond was also nominated for Best Feature Drama and Best Of British at the UKCFF 2015. Eva’s Diamond also won a Gold Award for directing (Ice Neal), Platinum Award Best actress in a leading role (Ice Neal), Silver award original score (Roby Meola,) and Gold Award Actor in a supporting role (Daniel Simpson) at the International Independent Film Awards 2016, and Won Award Of Merit Women Filmmakers, (Ice Neal,) Award Of Merit Best Actress (lead,) and Award Of Merit Best Christian Film (Ice Neal producer) at Indie Fest USA International Film Festival 2016. Her hardworking, almost Stakhanovite personality together with strong Christian faith are her main strong points and what makes her such a perfectionist in her job. With The Soob Productions, she has united her acting and writing skills and surrounded herself with talented and enthusiastic people in order to create an outlet for her idea, and help those in need. Leo Baron to a certain extent has been able to cover a few roles in the past few years, mostly taking care of camera work, lighting and assisting Ice Neal with pre and post production matters. Leo is a self-taught film-maker, nevertheless his natural understanding of technology and media in general have made his learning curve quite fast. As an editor he has worked on music video clips, musicals videos, APK’s and Art films and documentaries. 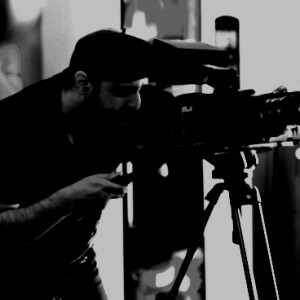 He has edited two Soob’s short movies and shared the photography of three projects, among which the feature film Eva’s Diamond and of Mr Jones, currently in production. Elise Mogue is a very talented film editor. Since the dawn of cinema, women were the experts on film editing, thanks to their patience and dedication, the same virtues that helped Elise to become a very sensitive and emotions-driven professional. Rather than the technical stuff, the story and the moods are the things Elise most cares about when it comes to putting together a cut. For this reason, after sharing the editor’s chair with Leo Baron on the Soob’s first projects (apart from Finality which was edited by Bernhard Pucher) she became Ice Neal’s first choice editor and “the obvious choice” as lead editor when it came to the Soob’s first feature film Eva’s Diamond. Ice and Elise have many things in common and almost think the same. Like the most successful Director/Editor pairs, a match made in Heaven. Elise’s work in Eva’s Diamond feature film won her an Nomination for Best Editing at Maverick Movie Awards 2015. Images and sounds are the best marriage, the most successful. They satisfy two senses at the same time. Roby Meola was born in Genoa, Italy. He showed love and talent for music at an early age, and by twelve, had already written 100 songs. At fourteen, he could play drums, keyboard, bass and guitar. Roby’s guitar prowess is reminiscent of Frampton, Hendrix and Santana, and he quickly mastered the styles of jazz, rock and the blues and taught jazz and rock guitar at the Roland School of Music before the age of eighteen. He toured Europe with his first band, MG40, at the age of eighteen, and by the time he was twenty, started his career as a music producer and arranger. Several years later he moved to London and began to significantly broaden his versatility as a producer and songwriter, working with such artists as Mica Paris and Fierce. In 2004 he was offered the opportunity to work on the score for his first feature film “Ambition”, directed by Nick Forzy and later distributed in US by Shoreline Ent. he quickly began joggling between music for films and for TV commercials. 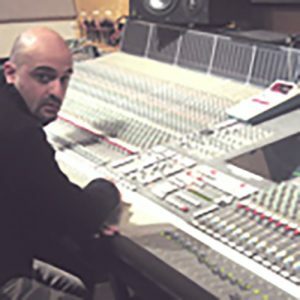 Thanks to his private studies in Classical Composition and Arrangement and his passion and know-how Roby Meola creates emotional and inspiring scores using the power and the dynamics of the real Orchestra, as well as taking advantage of today’s computer technology and real instrumentalists. From hi-tech ultra-modern sci-fi to classic Hollywood romantic sound. In the past few years he worked in numerous projects, from Independent Short Movies to Features, dividing his time between scoring for films and composing for commercials, building relationships with major European agencies and landing jobs for brands such as: T-MOBILE, 7UP, BMW. VW and ADIDAS among others. Roby met Ice Neal in 2003 and since then their working relationship has grown into a solid partnership. To date, Roby has scored all movies directed by Ice Neal, for The Soob Productions. Mary is the responsible of all the incredible casting for the Soob. No matter the budget, she’s able to find the right artist for the part, in order to bring the director’s vision to life.